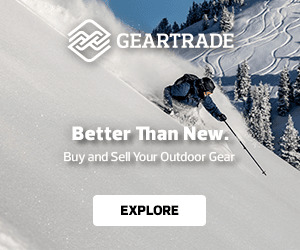 Intended Use: snowboarding just about everywhere you can imagine freeride, park/pipe, all mountain and backcountry. 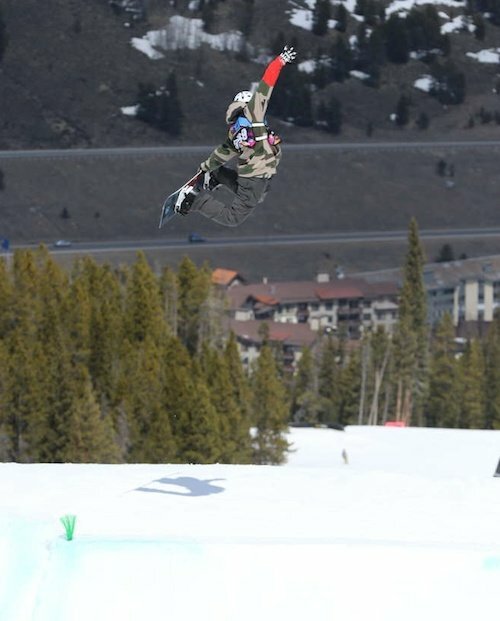 In the Ultra, Union has created a carbon snowboard binding that provides superior performance for its weight, stiffness, and strength. 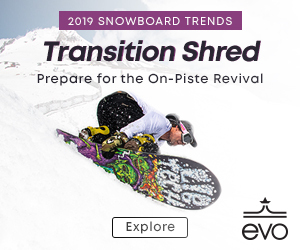 The Union Ultra snowboard binding is based off of the ever popular Contact pro binding, and the upgrades in the Union Ultra binding are impressive (though they do come with a higher price). Coming off of a season on the Contact pro binding, I was really excited to see how the Union Ultra bindings performed. the Ultra was tested out by Gigi Ruff and Bryan Iguchi for over 2 years, and that it used the same mini disc system as the Contact pro (which provides a surfy feel, minimizes dead spots, and lets the board flex more naturally), I had really high expectations. I use a fairly stiff boot most of the time (ThirtyTwo TM-TWOs), so I was initially concerned that the Ultra binding was going to be too stiff when paired up with the TM-TWOs. Even though Union says the forged-carbon highback is stiff, it has a surprising amount of torsional flex and allows for tweaking airs easily in the park, while still providing a solid flex while carving. A pleasant surprise! The highbacks are extremely lightweight and add to the appeal of the binding (they look cool too). The Ultra is slightly more responsive than the Contact pro when initiating turns, as you’d expect from the stiffer construction. 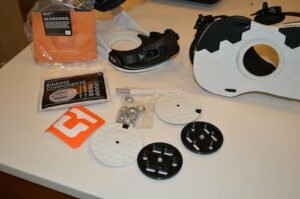 The ankle strap is slightly smaller than the Contact pro, but well-cushioned, and I found I prefer it to the Contact Pro ankle strap, as it has stood up to all the harsh winter conditions this year and hasn’t shown any breakdown or much wear and tear. 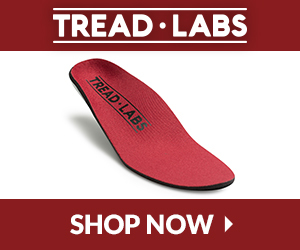 The ultra grip toestrap hugs your toes and really is awesome…finally! 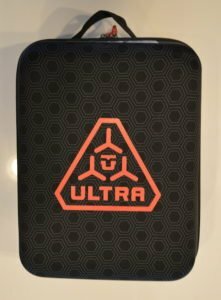 The Ultra also has top-end magnesium buckles that are extremely light and durable; with tool-less adjustments for highbacks and straps you can customize your setup just about anywhere. Again, I had no issues with these components, they held up great all season. Now let’s get to the meat of why I wanted this binding: the Vaporlite 2.0 foam. I do believe the Vaporlite 2.0 provides a great deal of cushioning and is worth the extra money if you are looking for a more cushioned and comfy ride. 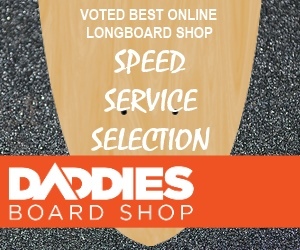 It is an upgraded dual-density foam, firmer toward the outside of the binding, and it does feel more responsive, powerful, and helpful for popping ollies too! 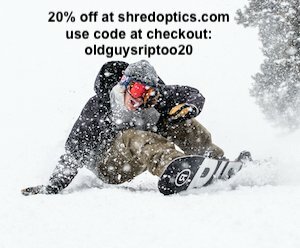 I can’t say that it’s all due to the Vaporlite 2.0, but I do feel like I felt better and rode longer on these bindings than I did with the Contact pros. 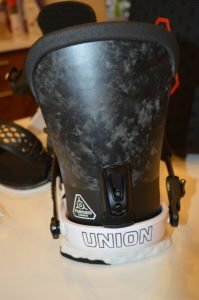 The 2017 Union Ultra snowboard binding has gone through a few upgrades, as you can see from the gallery above, with a different ankle and toe strap; however if you are able to spend the extra money and are looking for a slightly stiffer binding with amazing cushioning, this may just be the binding your looking for. Union Ultra bindings are a great binding for high-level intermediate, advanced, and expert riders who shred it all and require superior cushioning for those tough landings or comfort rolling through chop; these bindings are on the higher price end, and are fairly stiff, but they will do it all from all mountain, to freeride, to park or pipe.